Memorial plaques offer both a durable and beautiful way to honor a loved one. Bronze plaques can also be used to commemorate a building or honor a special moment in history. 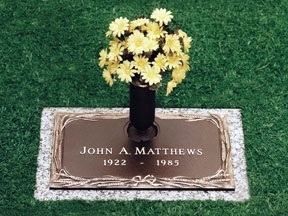 These plaques come in a variety of sizes and can be personalized and customized to pay the ideal tribute. Combine one of our memorial plaques with granite headstones or memorial benches to achieve an extra layer of beauty and style to your memorial monument. 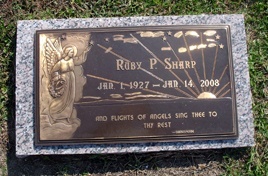 Whether used as a civic memorial or as a way to honor the life of someone you have lost, consider the versatility of plaques. They can be engraved simply with names and dates or can be etched with intricate designs and messages. When deciding whether memorial plaques are ideal for you, call (706) 798-2746 and speak with one of our compassionate staff members here at Southside Monument in Augusta GA. Bronze plaques are a classic way to memorialize everything from a life well lived to the commemoration of a building or historical site. They are versatile enough to use to honor donors to your organization or to pay tribute to a civic leader. Please see our photo gallery for examples of bronze plaques designed and installed by Southside Monument. We create beautifully crafted memorial plaques.